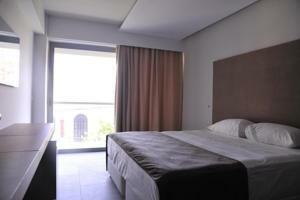 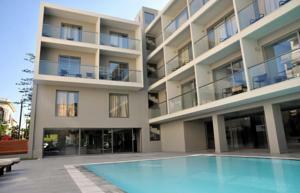 October Hotel is centrally located at a privileged location in the city of Rhodes. 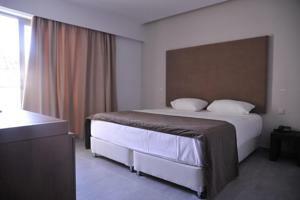 The preserved medieval city of Rhodes, Psaropoula beach and Rhodes Casino are 2 minutes walk away. 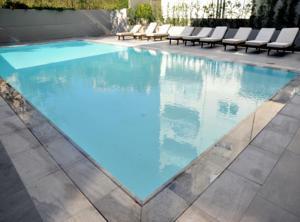 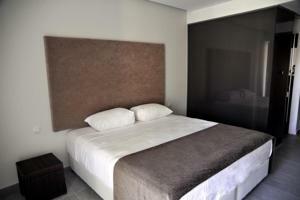 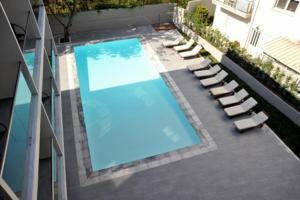 Totally renovated in 2011 Oktober hotel offers high quality accommodation options, a swimming pool and a restaurant. 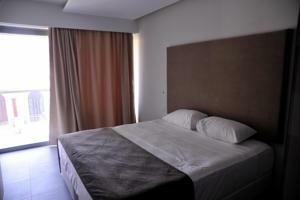 The facilities available can only be compared with a 3 or 4 star hotel. All rooms are decorated with great taste and offer all modern amenities like air conditioning, balcony with view to the city of Rhodes or the pool, lcd tv, private bathroom and shower. 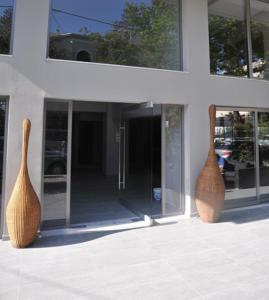 You can enjoy Greek recipes at the hotel restaurant, as well as international dishes. 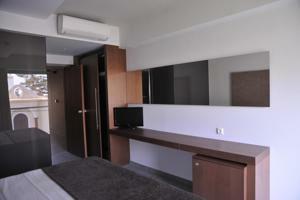 You can have a break with drink at lounge bar of Oktober hotel on the ground floor, which is really stylish and trendy.